Oliberté was founded in 2009 “with the concept of building premium outdoor leather shoes by quality crafts people resulting in creating sustainable jobs.” This idea is very simple and powerful: Trade not aid. Check out the website and you’ll see the wide variety of casual shoes and other leather products available from this brand made in Ethiopia. They sent us a pair of the Narivo in Brown-Yellow Pullup casual men’s loafer to try out and we were very impressed with the quality and craftsmanship. The brown shoe is pictured above and you can see that it would be perfect with jeans or slacks and for all sorts of casual settings. The high quality leather is very soft, and the classic design also has a modern twist with the lighter colored soles. This pair comes in grey, tan and green as well. If you browse the website you’ll also see a wide variety of beautiful leather bags as well. When it comes to quality and design, we’re confident you’ll be happy with products from Oliberté, and with Father’s Day coming up soon, you can find some excellent gift ideas as well. I love my iPad and tablets in general. The ability to watch TV shows or movies on planes or while I’m working out on the treadmill is one of the best tech developments I can think of. Tablets offer maximum flexibility to enjoy content, and now we have a gadget accessory that makes it even easier to use your tablet. The Monkey Kit available at BiteMyApple.co is a great accessory for anyone who uses their tablet or even their smart phone often, whether at home or in places like the gym. The flexible arm lets you set up your tablet almost anywhere, and it easily attaches to the back of your tablet. You can also just leave the spherical portion of you want to rest your tablet on your desk or table with slight elevation. 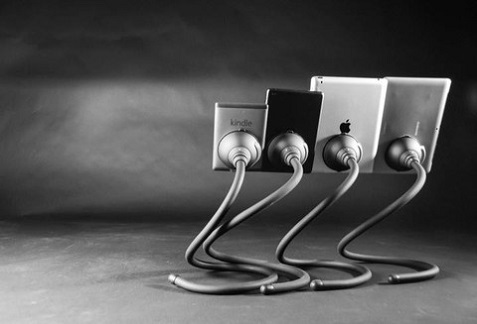 Basically, the Monkey Kit holds your tablet so you don’t have to. Holding the tablet is probably the only complaint you’ll ever hear, so this gadget can make things even easier for you. Also, with Father’s Day coming up, it offers a cool and unique gift idea as well. 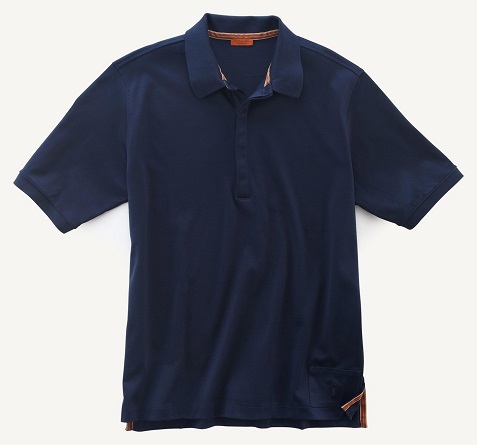 I had the opportunity to try out several new polo shirts from Golf by James Warren, a clothing collection that utilizes Europe’s best fabrics with a distinctive American style. DesignByHumans (DBH) is a unique t-shirt company devoted to artistic expression. Graphic artists are encouraged to submit t-shirt designs and the best are featured on the site. The result is an incredible selection of t-shirts and hoodies for both men and women featuring distinctive artwork. We tried out several samples and the quality of the shirts matches the quality of the art. DesignByHumans is built around an online community “dedicated to buying, designing and celebrating the art of graphic t-shirts.” Each day the site features a new designed shirt selected from hundreds of creative submissions. Each design selected as a daily winner wins $1000 so the artists are definitely rewarded. Winners are selected from the peer voting committee and the DesignByHumans curators. Shirt Of the Day t-shirts are discounted which encourages consumers to come back regularly, and you can shop the 50 most wanted tees for the best of the best in DBH design. If you have someone on your gift list that appreciates trendy t-shirts and designs, then you should definitely check DBH out as you do your holiday shopping. 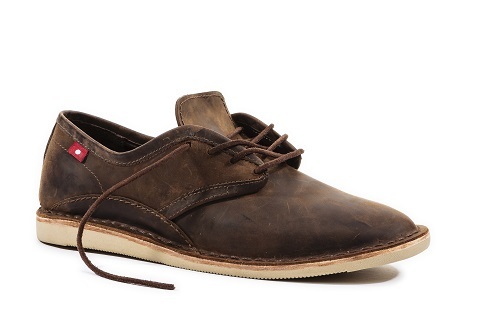 Burnetie sent us one of their Ox Light casual shoes and we were impressed by the quality and comfort. 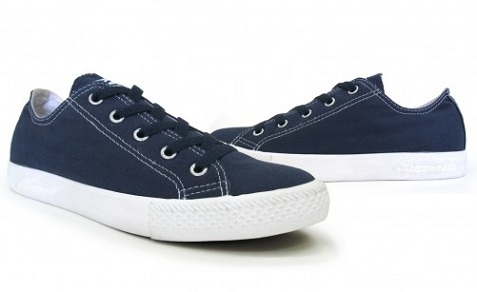 These low tops with a canvas body with rubber sole sports a classic design that has been updated to make the shoe lighter and more comfortable. The white stitching also adds to the styling. Canvas shoes with white runner soles have become very popular and the Ox Light model would be a great option for spring or summer, or even winter if you’re lucky enough to head south for warmer weather. The shoes come in black and red as well and they look great with shorts, jeans or casual slacks. For consumers interested in sustainable products, Burnetie recycles their rubber waste and makes their outsoles with 50% pre-consumer recycled rubber. Check out the Burnetie web site for an excellent selection of shoes for men and women. You’ll find classic looks like the Ox Light shoes we tried along with trendier options as well. The prices are very affordable and you should find some great gift ideas for the holidays.